With all the questions surrounding the Chargers lately like potentially losing All-Pro safety Eric Weddle, a flawed O-Line, injury bugs and where they will call home in the coming years, they have taken care of at least one of their issues. 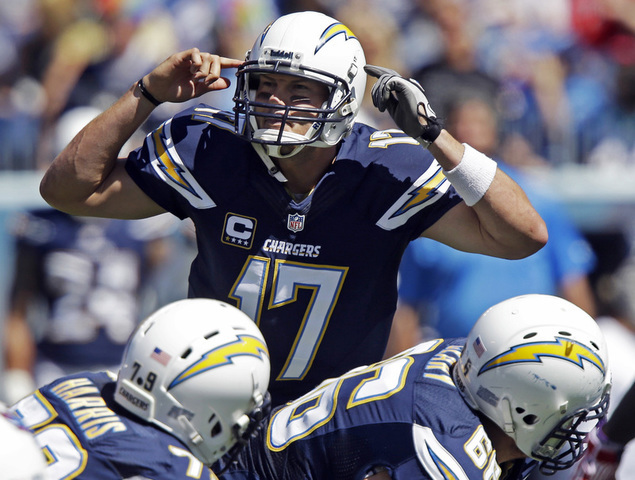 On Saturday, QB Philip Rivers agreed to terms on a 4 year contract extension with the San Diego Chargers. The 4 Year extension is worth $84 million with $65 million of that being guaranteed. This makes Rivers the 8th highest paid player in the NFL, a price most teams would be willing to pay. Rivers, who has been a Charger since 2004, will be playing with the franchise until 2019 when his contract expires (barring a blockbuster trade that is) where he’ll be 38 years old. Rivers has all the qualities of a franchise player and is arguably in the NFL’s top five quarterbacks when he is healthy and playing his game. No team can succeed without a quarterback regardless of who you have as receivers and Rivers is a guy that gives you a chance to win every night so it’s no surprise that the Chargers did what they had to do to lock him up. It has been rumored that Rivers would not play if the team moved to Los Angeles but with him signing the new deal on Monday it is clear that he wants to retire a Charger. After ending last season on a sour note with some painful injuries and missing the playoffs by one win Rivers is ready to hit the 2015 season running. With the contract talks finally settled it will be a tonne of weight off the veteran’s shoulders. Rivers will be looking to lead the Chargers to only their second playoff appearance in 6 years and with the AFC West on the decline that goal is definitely reachable. Over the off-season the Chargers have managed to acquire Jacoby Jones and Stevie Johnson to help revamp their receiving core and draft a rookie running back with tremendous potential in Melvin Gordon thus leaving Rivers to be like a kid in a candy store approaching the 2015-16 season and with 4 more years of the NC state alum, the Chargers certainly have a chance.